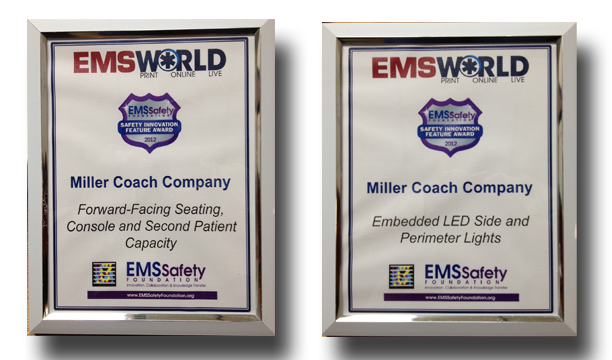 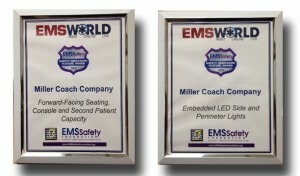 Miller Coach Company was awarded 2 Innovation Safety Feature Awards from EMS WORLD at the 2013 EMS Today Conference in Washington DC. 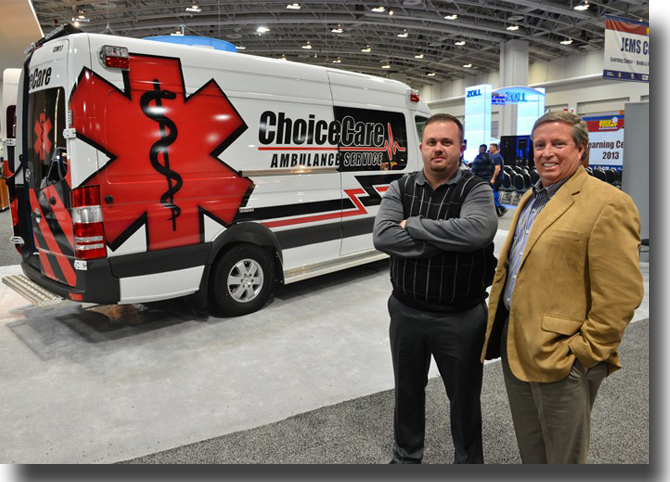 A special thanks goes to Choice Care Ambulance in Dublin, GA of the gracious use of their recent acquisition of a Miller Coach 2013 Mercedes Benz Sprinter 170 Type II. Pictured here are Choice Care CEO Phillip Jennings (at right) , and COO Clint Brantley (left) with the new acquisition.